Samsung Electronics Co. is set to hold its developers' conference this week in the United States, where the company plans to unveil its latest technologies, potentially including details of an upcoming foldable smartphone, industry watchers said Tuesday. The South Korean tech giant will hold the Samsung Developer Conference in San Francisco on Wednesday and Thursday. The upcoming event is significant as the company hinted it may unveil details of a new smartphone with a foldable display. 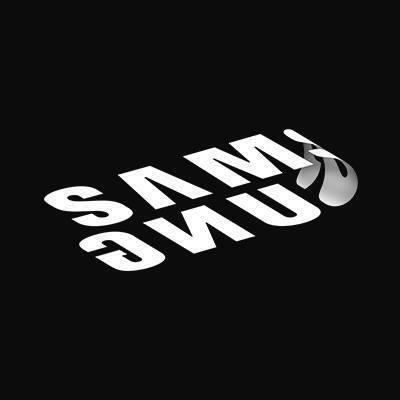 Earlier this week, Samsung uploaded an image of its logo folded, apparently a hint about the upcoming foldable handset. During the announcement of the third-quarter earnings report last month, Samsung said it will showcase smartphones equipped with foldable displays and fifth-generation network technology at an appropriate time. Industry watchers, however, said Samsung is unlikely to showcase a working prototype, as the event mostly centers on software developers. The company is expected to have its first foldable smartphone introduced at CES 2019, or the Mobile World Congress, the following month. Sources said the new foldable smartphone folds inward, boasting a display of 7.3 inches when unfolded. Samsung is seeking to expand the ecosystem of its artificial intelligence program, Bixby, during the event as well. The company, which introduced the updated Bixby 2.0 during the showcase event of the Galaxy Note 9 in August, plans to open the software development kit at the conference. Another notable announcements expected at the conference is details of the Galaxy Home, Samsung Electronics' first AI speaker. The product, powered by Bixby, connects to various Samsung products ranging from smartphones to home appliances. Samsung is expected to provide information on specs, release date and price of the speaker.